If a new bill proposed by state representative passes, there will be another offense added to the list of hate crimes in Florida: Acts of violence based upon political affiliation. According to the Sarasota Herald-Tribune, the law is a response to a series of violent incidents across the US in recent months. State law already punishes crimes that are motivated by race, ethnicity, religion, sexual, orientation, age, national origin, and other types of protected status. Under the current statute, an offense that is classified as a hate crime is bumped up a notch from what the penalties would otherwise be. Regardless of whether the proposed law becomes effective, it’s important to retain a qualified Florida criminal defense lawyer if you’re facing hate crimes charges. 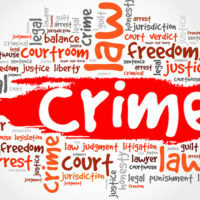 When the first version of a hate crimes law was passed in Florida back in 1989, lawmakers recognized that criminal activity based upon a bias against a certain class of people had the potential to cause considerable harm – both for the victim and for society as a whole. While legislators didn’t designate a new set of offenses, they created a structure of enhanced penalties that could be used to punish those convicted of hate crimes. Other indications that bias was a motivating factor. Note that social media can provide an enormous amount of evidence that a prosecutor may use in a hate crimes case. A second degree felony may qualify as a first degree felony for sentencing. Florida takes hate crimes very seriously, so a sentence enhancement for this type of offense can lead to a longer prison term, higher fines, extended probation, and other penalties. However, a prosecuting attorney has a heavy burden to not only show that you committed a crime, but that it was motivated by a certain type of belief. By retaining a knowledgeable criminal defense attorney, you’re in a better position to fight the charges and obtain the best possible outcome. For more information on hate crimes and other types of offenses, please contact the office of Fort Lauderdale lawyer Kevin J. Kulik. We can answer your questions or schedule a consultation to discuss your case.